Swim with the dolphins with this new release by Amatic - Blue Dolphins and get rewarded with huge prizes.Plunge deep into the ocean and have fun with the dolphins. Except of water, you will be wallowing in prizes when spinning the reels on this slot. Filled with adventure, Blue Dolphin slot is a 5-reel, 3-row and 5 payline slot with a substituting Wild, multipliers and scatter symbols.So get ready to dive into the deep blue sea and spin the reels for big wins. Blue Dolphin is a wonderful and exhilarating slot to play. Amatic has ensured that they have adhered to the slot theme by providing characters which can be found in the ocean. 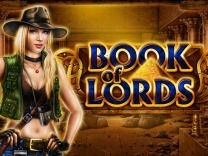 these characters are crafted expertly to ensure that you have fun playing this slot. The visuals are exceptional which can be played on multiple devices such as mobile device or desktop computer. Set on a bubbly background deep in the ocean which complements the slot theme. There is also a soundtrack which will keep you playing, and whenever you spin the reels, there is a vegas style brick and mortar spinning sound of the reel making it realistic.If you are looking for a slot which offers regular pays, then this is the slot to choose. You will receive regular pays between plays. this will get you hooked on the game. In short, this slot is a low to medium variance slot and is recommended for all players whether they are veterans or novices. Amatic has taken a theme and created another masterpiece. 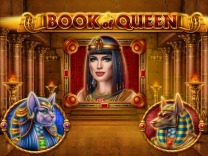 this slot features different characters which make this slot exciting and fun to play. You will find characters such as a turtle, a lobster, squid and fishes. There are also generic card symbols which are incorporated into this slot which include A, K, Q, 10 and 9. these are the only characters which are featured in this slot. These symbols pay a high of 750 coins for matching 5 of the turtle symbols, while the lowest amount paid by these symbols is 2 coins for matching 2 of the 9 symbols.Before you can begin playing this slot, you will need to understand the gameplay. You will be required to set a wager of between 1 and 100 coins depending on the number of paylines you have chosen to play. This means that the slot can allow a bet of between 1 and 500 coins. There is also an autostart function which is, for the player who would like to play the slot without manually spinning the reels. In Blue Dolphin, you will find 5 payline which is more than enough paylines to enable you to make winning combinations with each spin. You have to match at least 2 symbols on a payline to receive a payout.Watch out for the Blue Dolphin as this is the best symbol in the slot. Matching 5 of these symbols will award 1,000,000 coins. While you will find that there is a wonderful base game, you will be amazed by the bonus symbols which are featured in this slot. The wild symbol will substitute all other symbols on the slot except the scatter symbol. It will also subject any wins to a 2X multiplier when completing a winning combination. The wild will also pay when matched 2 to 5 times. This will award you prizes ranging between 1000 coins for 2 wild symbols and 1000000 coins when matched 5 times.The scatter symbol, on the other hand, will trigger the bonus spins. 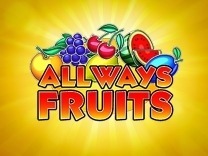 Matching 3 or more scatter symbols will award you 15 bonus spins and the wins subjected to a 3X multiplier. The scatter symbol will also pay out an amount when matched 3 or more time. Expect prizes up to 250,000 coins with each spin.Finally, there is the gamble feature. This feature allows players to double or quadruple their wins. It is activated whenever a player lands a win and he/she has to select the gamble feature manually. This feature is presented as a guessing game where players have to choose between two card colours, black and red. choosing the correct colour means doubling your prize, while an incorrect win means forfeiting your wins.